Oooohhh.... crocodiles. If you live in Florida or some of the other southern states, you may see crocodiles and alligators all the time. 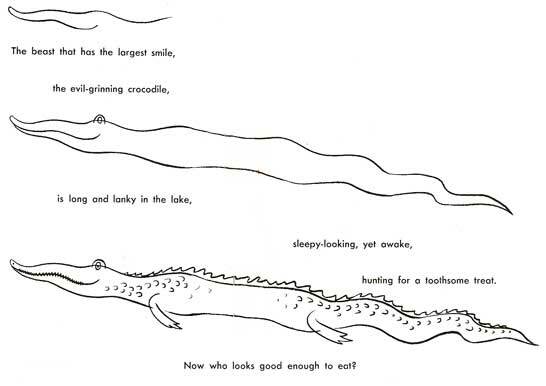 And you would probably know the difference between a crocodile and an alligator better than most of us notherners. There are several differences, the largest of which is that crocodiles are generally found in saltwater habitats, and alligators tend to prefer freshwater. These are only generalizations, though, as both creatures have glands that can process salt out of their bodies. The other big difference between crocodiles and alligators is the shape of their head, specifically their snout. Crocodiles have "V" shaped snouts, while alligator snouts are much more rounded and "U" shaped. Crocodiles and alligators are excellent subjects to study if you are interested in drawing dragons. You can borrow a lot of alligator or crocodile anatomy to make your dragons look more "realistic".